I hope I can be forgiven here in the dead of frozen January for letting my mind wander to beaches and grass on the water and the view of chalky peaks against the clear, blue summer sky. All the leaves are gone and the ice feels as if it’s here to stay, but an item passed at the TTC meeting this week has me Bluffer’s Park dreaming on a winter’s day. I don’t know if there is a place in the city more beautiful and peaceful than Bluffer’s Park. It’s among my favourite places in Toronto, although it feels a million years removed from the city. Standing on the sandy beaches or grassy picnic areas as the breeze comes in, there is no sign of the glass and steel and asphalt of urbanity. What views! 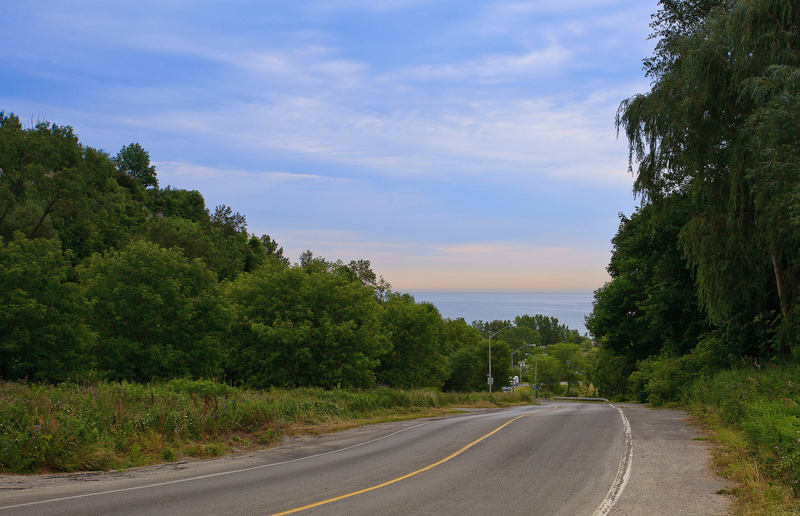 To the south, the twinkling blue of Lake Ontario stretching to the horizon. To the north, the steep cliffs marked by the points of white sandy peaks. All around, there are boaters and barbecues and people on beach blankets. The Scarborough Bluffs, especially as seen from Bluffer’s Park, are among the most beautiful and underappreciated sights in Toronto. A new summer bus service pilot approved by the TTC could make them a lot easier to see. I went to a high school at the top of the bluffs at the foot of Brimley Road, the grounds of which overlooked the park. I’ve been there for picnic lunches and afternoon dates and midnight parties. My sister got married at the Bluffer’s Park Marina. I have long appreciated the breathtaking majesty of what might be Toronto’s most postcard-worthy natural setting. Such is their beauty that they are the reason Scarborough has its name: Elizabeth Simcoe, wife of Upper Canada’s first Lieutenant Governor, gave them that name, which stuck for the whole surrounding area, because the escarpment reminded her of the limestone cliffs in Scarborough, North Yorkshire, England. But whether it is the most beautiful place in the city, or simply among the most beautiful, it has long had a lock on another distinction. There is simply no other major attraction in Toronto that has been as inaccessible by public transit. People complain about the chaos of the ferry ride on the way to the Toronto Islands, but the ferry is there, and a streetcar will take you right to its dock. Rouge Park in Scarborough and Centennial Park in Etobicoke may require long bus rides, but once you’ve taken them you’re dropped right at the gates. Some routes to the Evergreen Brick Works require a long hike in, but there is a TTC bus and a shuttle bus that will take you right into the grounds. But Bluffer’s Park — boy oh boy. The only access into the park is through a steep, winding access road with no sidewalks on it. 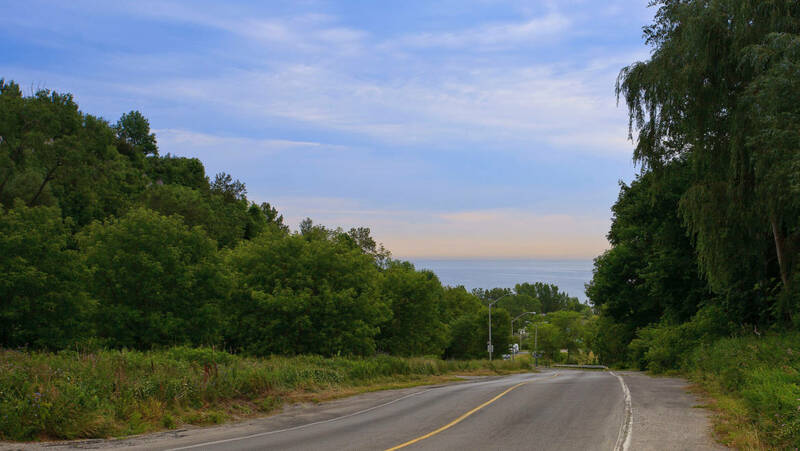 That road begins at the foot of Brimley (Near the intersection with Barkdene Hills), which is already several minutes walk from the nearest bus stop at Kingston Road, and a further walk from the most frequent bus stop at St. Clair. If you’re an able bodied person, getting to the park by transit has always required a walk of between 20 minutes and half an hour at the end of your trip, much of it over a difficult and dangerously steep road. And you’d face the same trip, uphill, on the way out. If you depend on a mobility device such as a wheelchair or have difficulty walking, it is virtually inaccessible without a ride in. Finally, finally, finally, that is changing. On Thursday, the TTC board approved a plan to run a bus route from Kennedy Station to Bluffer’s Park on weekends and holidays between May 13 and Thanksgiving. Service will run approximately every 15 or 20 minutes between 8 a.m. and 10 p.m. I wish only that it was available on weekdays as well — for summer vacation days and after-work time when the park is not already packed to the gills. Maybe in time, if the bus service is as popular as I would expect it to be. To start, however, limited service is better than no service. It’s a pilot project this year, expected to cost about $187,500 to operate — a cost split between the TTC and the parks department. It’s a small item in the TTC’s budget, and perhaps a small blip in the news avalanche this city hears every day. But if so it’s a good blip — opening up one of the best parts of the city to more people, allowing them to get to it more easily. We need more of that kind of news, stuff that can fire idle daydreams of summer scenes that lie ahead, even in the middle of January.